Sarin has been in Cam’s gym since 2009. Her entry into fight sports started with kickboxing, but after an ankle injury she took up boxing with Cam and fell in love with it. (She also learned to make peace with his then-favourite exercise, sprints up and down the seven flights of concrete stairs.) She has been competing since 2016 under Josh Francis‘ coaching and will tell anyone who will listen that the physical challenge is the easiest part of the journey. Her gravitation toward technical sports like boxing is the result of her appetite for constant challenge; with boxing, there’s always something to improve upon and do better. 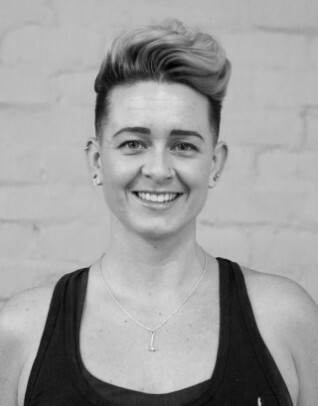 The gym is not Sarin’s natural habitat, but she’s worked hard over the years to prioritise training and integrate it into her life and is passionate about encouraging others to do the same. Busy people make time. When not in the gym, you’ll find her nerding out on project management tools, plotting the revolution, running logistics & artist liaison departments at major music festivals, or just being profound on Twitter. Sarin finds pants – and the patriarchy – to be extremely oppressive.